The "her" side to a his and her home office. Photo by Sawaya Photography. 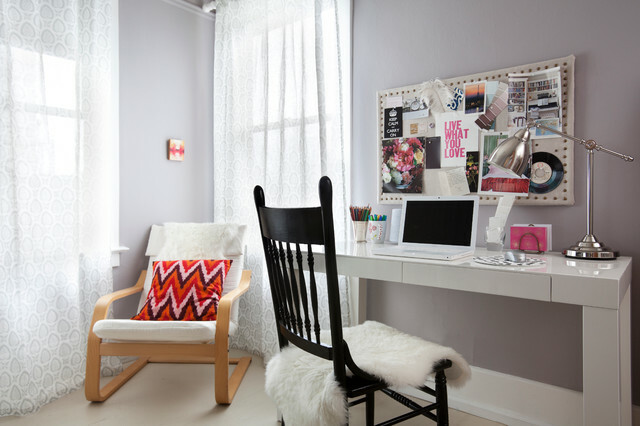 Soften the Space A workspace doesn’t have to be all hard edges and sleek lines. You can easily add softness and comfort with a fabric window covering, cushions and throws to cozy up the space.